For the third year in a row, science meets the theatrical stage courtesy of UCSB, where the Professional Artists Lab and NanoSystems Institute co-sponsor an annual playwriting competition for scripts that explore scientific or technological themes. Called STAGE, which stands for “Scientists, Technologists, and Artists Generating Exploration,” and run by Nancy Kawalek, the competition is already an international success in just its third year. The contest, which awards a $10,000 prize and priceless national exposure, is rooted in the Professional Artists Lab, which Kawalek founded after speaking with a scientist who told her that most Nobel Prizes were the results of accidents in the laboratory – essentially, that great discoveries originated in mistakes or outright failures. “It got me thinking,” said Kawalek, who comes from the New York theater world. “We don’t really do that in the arts anymore because of commercial concerns. You used to be able to experiment like that off-Broadway or in regional theater, but most theaters are just trying to survive. 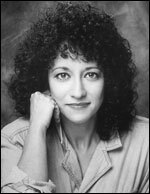 But we need a place like that in the arts where we can try great work and fail horribly.” So Kawalek founded the lab, and from that, turned her attention to her background: theater. From there, she got the right financial backing -anonymous donors, at that – and put up the $10,000 prize for the competition. Additionally, Kawalek enrolled some pretty prestigious judges, including Nobel Prize winners from the science side of things and prominent directors and playwrights from the theater world. “It’s only the third year,” explained Kawalek, “but the quality of submissions has increased dramatically.” The judging is done blindly, but writers are checked later, and have included very established playwrights and even Nobel laureates. “He didn’t win,” said Kawalek of the unnamed Nobelist, “but you can’t be good at everything.” One submission even came from as far as Nigeria last year. 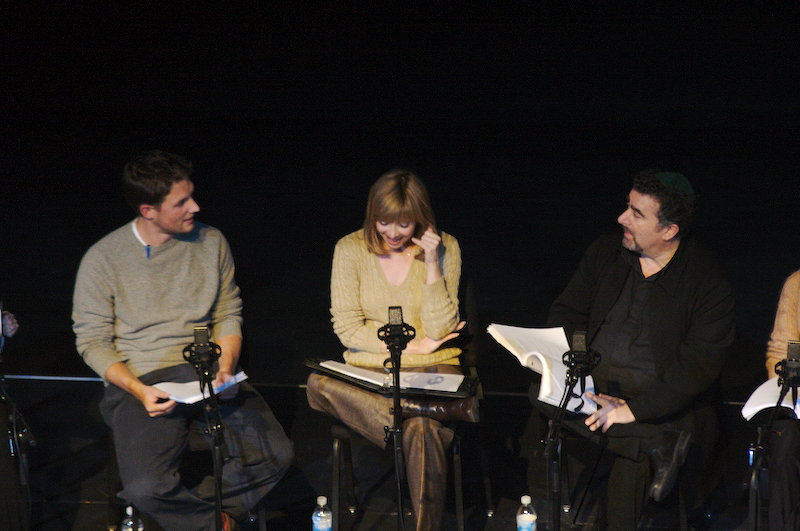 Famous actors Michael Cassidy, Sharon Lawrence, and Saul Rubinek read Jamie Pachino's play <em>Splitting Infinity</em>, which won the first STAGE competition. In addition to the substantial cash prize, the winning playwrights eventually see their words hit the stage. The first year’s winner Jamie Pachino read Splitting Infinity at Los Angeles’ REDCAT Theater, in the Walt Disney Concert Hall, with the help of television actors from NYPD Blue, The OC, and Frasier. It was then produced at regional theaters. Last year’s winner, Elyse Singer, will be celebrating the world premiere of Frequency Hopping, at 3LD, or Three Legged Dog, a theater in New York City, in June 2008. But while playwrights get the accolades, it’s the scientists who look forward to the event most, as many of them aren’t good about getting the word out about their discoveries to a wide audience. “Remarkably, scientists are usually more excited about the STAGE competition than artists,” Kawalek explained. “They think, ‘Oh my god! This is great. Someone can explain what we do and people will be excited by it. '” As well, STAGE has developed the relationships for scientists to inspire playwrights with their ideas, and even play a role in perfecting the production of plays. “This dialogue has been incredibly useful,” said Kawalek. She’s aware of what the public thinks when they hear the words “experimental theater.” For most playgoers, Kawalek says, it brings to mind “people smearing peanut butter all over themselves onstage.” But, she promised, “I’m not talking about that. I’m talking about really good stories about the lives we’re really living.” And those lives are inherently interesting, she believes, due to the pervasive influence of world-sculpting technology. Perhaps they’ll even make theater relevant for the 21st century while they’re at it. For details on how to enter by the December 31 deadline, see cnsi.ucsb.edu/stage.